The pride that comes from shooting a wooden bow that you’ve made with your own two hands is a powerful experience. In this 3 day course, you will be guided through the step-by-step process of crafting a wooden longbow. You will begin with a hickory "bow blank" that is ready for you to start hand tooling. During the course you will be introduced to the ancient art of tillering, learn the fundamentals of woodworking, using tools efficiently, and tapping into our ability to “read” the wood. By the end of the course you will have made your own wooden longbow and if time and weather cooperate, students will have the opportunity to practice shooting techniques. 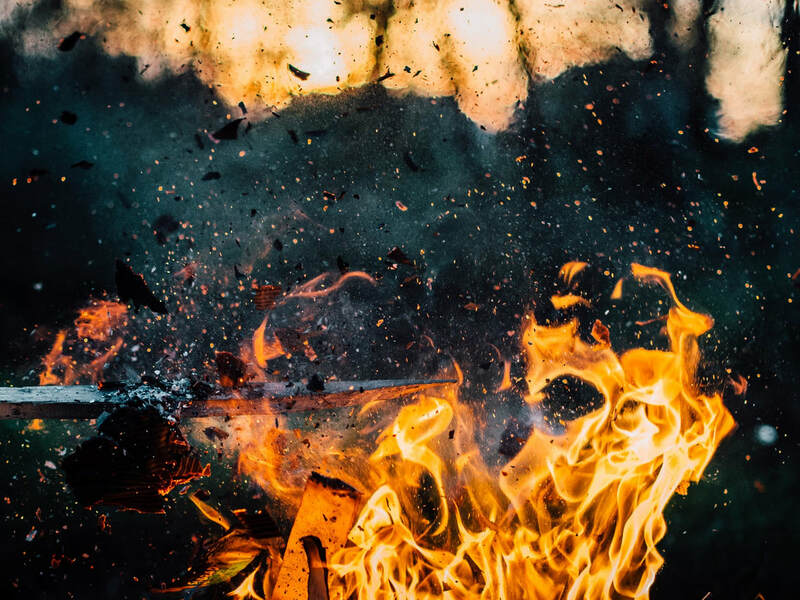 This course introduces students to the basic fire-by-friction methods and expands learning with some new techniques and advanced scenarios including a “no knife, no modern tools” fire drill. It is an excellent opportunity to work with our instructors on advancing your survival knowledge as well as applying these skills without the use of modern tools. Have you ever stumbled upon an ancient arrowhead? Have you wondered how our ancestors crafted and sharpened tools from stone like axe heads, knife blades, and arrow points? This course is both highly informational and greatly hand-on as students learn how flint napping evolved and how to identify appropriate base materials from which you will produce a variety of sharpened stone tools. This class will introduce the basic techniques of pressure flaking and percussion and the exhilaration of crafting a thing of beauty and utility from a rock. Materials fee includes a practice stone and a Knapper’s tool kit that will include and abrasives, billet, and a pressure flakers. This class pairs very well with the Crafting a Long Bow of Small Game Trapping. In this workshop we will explore the world of hands-on skills and survival awarenesses that bridge the gap between ourselves and the natural world. Learn simple carving techniques, plant fiber cordage wrap, basic friction-by-fire bow drill, and basic medicinal plant identification. This workshop equalizes the use of your eyes, ears, nose, and hands to become aware of our surroundings and relationship to the earth. While this one day experience is taught through a relaxed tone, this is a serious participatory workshop that will get you started on basic survival skills that can provide a lifetime of fascinating learning. The course is perfect for the young, old, and an ideal family experience. Workshop will take place in semi-sheltered outdoor space with some venturing out for materials and lessons. With the growing national interest in sustainability and natural building we present The Natural Building Workshop: Introduction to Cob, Strawbale, Thatching, & Framing. This course is for anyone who wishes to receive a introduction into natural building and appropriate technology that will help you to discover the beauty, simplicity, and affordability of natural building. Our two-day Workshop is a unique course of study providing lecture, demonstration and hands-on exploration of earthen and natural elements that are used to create structures and shelters. This workshop combines an introduction to straw, cob, plaster, thatch and other natural building materials. Topics of exploration include, but are not limited to, foundations, earthen/cob floors, timber/round-pole framing, strawbale walls, natural insulation, natural paints and plasters, and roof systems, including thatching. The course will not build a building, instead students will journey through multiple stations where partial structures will be used for lecture and hands on learning. This is an intense fast paced workshop. We will be outdoors the entire time and you are almost guaranteed to get dirty - so dress accordingly. Some power tools will be incorporated and safety equipment will be provided. It has been stated that thousands of pounds of high quality protein and fat are wasted by our automobile culture every year. If we are able to transcend the stigmas and jokes and learn the real possibilities of roadkill meat, we can turn a tragedy into a bounty and give honor to those animals by putting them to use. In this one day course, we will learn to assess the quality of a killed animal, the legal route to acquire it, how to skin, and how to make use of it’s meat, fat, organs, and more. Some discussion of skin preservation and utilization will also be covered. This will be a hands on class so come with an open mind and old clothes, and be prepared to never see your daily drives in the same way.